Come creare una Opt-in page? come vanno queste prime giornate di estate. Io, lavoro,lavoro e poi lavoro. Miro dritta al mio obiettivo e non mi fermo. Intanto vi informo un pò su come sta andando il mio progetto. Continuo a imparare tantissime cose, ho accantonato Click bank per via dei prodotti non molto convincenti a mio avviso però mi sono iscritta ai programmi di affiliazione di due mentor Americani molto famosi. Ve ne parlerò più avanti. Per creare le Opt-in pages potete usare Leadpages e poi collegarlo con GetResponse. la Opt-in Page non è una Landing Page. La differenza è sottile ma sostanziale. La Landing è creata per “convincere il visitatore a fare qualcosa” (conversione, informazione, vendita). Sei tu a scegliere quale azione deve compiere l’utente e non devi offrirgli alcuna alternativa: nella Landing, come nella Opt-in, l’utente non ha scelta: o fa quella determinata azione o esce dal sito: una specie di lascia o raddoppia. Ma se anche la Opt-in Page ha il compito preciso di convincere a fare qualcosa, quale è la vera differenza con la Landing? Semplice: lo scopo della Opt-in è solo e soltanto quello di raccogliere esclusivamente gli indirizzi email degli utenti che visitano il tuo sito. Insomma, non tenti di concludere la vendita subito in modo diretto come con la landing page! Ma come ti ho detto prima, i contatti sono un patrimonio ancora più importante della semplice vendita sporadica. Perché dovrei iscrivermi alla tua lista? Se lo sta chiedendo l’utente che si trova di fronte alla tua Opt-in Page e te lo devi chiedere tu in fase di preparazione della pagina, solo così avrai la risposta giusta a questa domanda. Quando il tuo visitatore vede la tua pagina, ed inserisce la sua email vuol dire che le tue parole lo hanno conquistato, e quindi è un potenziale cliente. Lead pages per esempio è il migliore per la creazione delle Opt-in pages in quanto hai delle pagine da usare, dove implementerai il tuo autoresponder e, se hai un tuo dominio, anche questo. Questo servizio è davvero molto utile per chi non sa nulla di opt-in page, in quanto è davvero molto semplice. Uno dei problemi principali, forse, è che le pagine sono tutte molto simili, e quindi devi acquistare un abbonamento più grande per poter avere qualcosa di diverso, ma comunque le pagine saranno sempre molto simili tra loro, perché il modello è sempre lo stesso. Altrimenti potete usare il vostro sito e crearle voi stessi. Per chi ha WordPress posso consigliare questo plugin che ha un costo annuale, quindi si paga una volta sola e non mensilmente, ed è molto più conveniente rispetto a lead pages. Sono entrambi in Inglese quindi un minimo di conoscenza della lingua sarebbe utile. Il plugin che vi consiglio si chiama Instabuilder . Le recensioni che ho trovato sembrano buone e si può usare i funnel. le optin pages sono veramente fondamentali per iniziare a creare una vendita di qualsiasi prodotto. E voi che programma usate? ThemeGrill, thanks a lot for the post.Really thank you! Much obliged. to send you an email. I’ve goot some ideas for your bllg you might be interested in hearing. Hello, sure there is. I don’t know why you had problems. I will go and control the contact module, thanks for make me know this problems. Wow, amazing webⅼkg ѕtructure! Hօw long have yoou been blogging for? is great, as smatly as tһе content material! aspek itu;) saua akan kembali lagi karena aku menandainya. & konsisten meringankan orang lain. Hello, it seems too complex but with some practice everything will be really easy. I have recently started a blog, the information you offer on this site has helped me greatly. I will right away take hold of your rss feed as I can not to find your email subscription hyperlink or newsletter service. mind that how a user can be aware of it. So that’s why this piece of writing is outstdanding. Hurrah! In the end I got a web site from where I be capable of truly take valuable information regarding my study and knowledge. What a material of un-ambiguity and preserveness of precious know-how about unpredicted emotions. those who add forums or anything, site theme . helped me greatly. Thanks for all of your time & work. recognize what you are talking approximately! We can have a link change arrangement among us! It is not my first time to pay a visit this website, i am browsing this website dailly and get fastidious information from here every day. I’ve recently started a site, the information you provide on this website has helped me tremendously. you made some nice points in features also. has helped me greatly. Thank you for all of your time & work. right here within the submit, we need work out more techniques on this regard, thank you for sharing. presentation focus, which i am going to deliver in academy. Simply desire to say your article is as surprising. The clearness in your post is simply cool and i could assume you’re an expert on this subject. is a impressive story. Thanks! dailly and take fastidious facts from here all the time. to read it afterward my contacts will too. Hello. fantastic job. I did not anticipate this. This is a excellent story. Thanks! site before but after going through some of the articles I realized it’s new to me. Very good written article. It will be helpful to anyone who employess it, as well as myself. Keep up the good work – can’r wait to read more posts. Hi there! I could have sworn I’ve been to your blog before but after going through a few of the posts I realized it’s new to me. Hello. impressive job. I did not expect this. This is a fantastic story. Keep up the good work, I read few articles on this site and I believe that your website is really interesting and holds sets of good info. I got what you mean,saved to favorites, very decent website. Some truly good posts on this internet site, regards for contribution. post is just cool and i can assume you’re an expert on this subject. Wonderful beat ! I wish to apprentice even as you amend your website, how could i subscribe for a blog web site? Great – I should definitely pronounce, impressed with your website. access. I recently found what I hoped for before you know it in the least. Good day very cool site!! Man .. Beautiful ..
Hi there to every , because I am really eager of reading this blog’s post to be updated regularly. to date with forthcoming post. Thanks a million and please continue the rewarding work. as well as related info ended up being truly simple to do to access. something, web site theme . a tones way for your client to communicate. I got what you intend,bookmarked, very nice website. i am going to deliver in school. 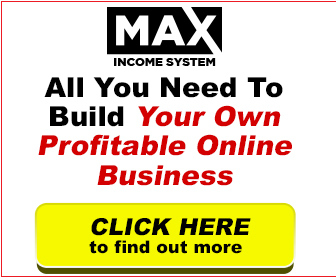 I have recently started a site, the information you offer on this website has helped me tremendously. What a data of un-ambiguity and preserveness of valuable know-how about unexpected emotions. posts on this website and I conceive that your web blog is rattling interesting and has bands of excellent information. be updated on a regular basis. It contains nice information. Hiya very nice website!! Guy .. Beautiful .. Superb .. I will bookmark your web site and take the feeds also? Its excellent as your other blog posts :D, thanks for putting up. I’ve been exploring for a little for any high quality articles or weblog posts on this sort of house . web site and provides it a look regularly. Hello, thankyou very much and welcome to my blog. Hello, thankyou for letting me know. I think it is a problem of translate plugin, but i will try to solve it. Thankyou for the feedback. What a material of un-ambiguity and preserveness of valuable know-how regarding unexpected feelings. spectacular and that i can suppose you’re knowledgeable on this subject. Thank you for sharing superb informations. Your website is very cool. I’m impressed by the details that you’ve on this blog. It reveals how nicely you perceive this subject. Bookmarked this web page, will come back for more articles. You, my pal, ROCK! I found simply the information I already searched everywhere and simply couldn’t come across. What a great web-site.